Lenovo’s Accidental Damage Protection protects your investment from operational or structural damage due to common accidents like drops, spills, electrical surges or failure of the integrated screen. This fixed cost, fixed term protection plan minimizes unexpected repairs for predictable budgeting, and provides significant savings relative to the cost of non-covered repairs. 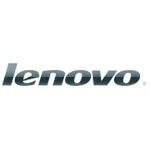 Lenovo guarantees that systems will be repaired with qualified Lenovo parts. If the system is not damaged beyond repair, the end users’ PC is returned to them after being restored by certified Lenovo technicians. If repair is not possible, the entire system will be replaced at no additional charge.